This Loaf is in a 17” long x 6” wide banneton. A friend gave it to me she had bought it years ago in Germany and never used it. 70% Arrowhead Mills AP, 20% home milled Kamut, 5% milled rye and 5% milled Emmer all sifted and bran fed to levains. I used my SD levain, my AYW levain and AYW as part of the liquid. Thus 3 distinct chemistry processes. I mixed everything including salt with a large rubber scraper just till moistened and let it rest 2 hrs. Dough was extensible and poofy by then. Did one lamination and returned dough to bucket. After another hour did one s and f. That’s it. Bulk ferment was 2 hrs. Retarded at 55 degrees for 12 hrs. Baked in my huge 100 yr old granite roaster 500 degrees covered 20 min and 475 degrees uncovered 30 min. Amazing open crumb and incredibly tender. Very full flavor and fragrance is wonderful. For me this affirms that hands on isn’t necessary and that fermentation times and temps are what makes an open crumb and fantastic flavor. That loaf is to die for. Gorgeous and beautiful and stupendous. definitely a BIG loaf lol! I cut it while still warm so crumb in pic isn’t as pretty as it is in real life but my husband said he really wanted it for lunch. Since it’s our 48 th wedding anniversary he gets special treatment. The flavor is really good and full of wheat . I look forward to tasting it tomorrow. It’s extremely tender due to the YW. My levains and YW are really active recently so it’s fun to bake with them. Took me 3 years to get my hubby to enjoy sourdough. And 44 years of marriage come April. and weird things to make the very best bread that we can and possibly in the whole wide web of the bread world! You made my day! Wish i could be munching on a few slices with some olives, pickles, butter, cheese and a nice glass of aged Cabernet! Happy baking and biking Trailrunner! it sure doesn’t take but a few minutes of touching. And I didn’t shape it either... just folded it length wise and pinched the seam. It’s going to take us a while to eat it all! Will post a follow up when I try again. A gorgeous monster bread! I can’t believe the open crumb you get from minimal hands on! You have a gift! It's a BIG loaf for sure ! 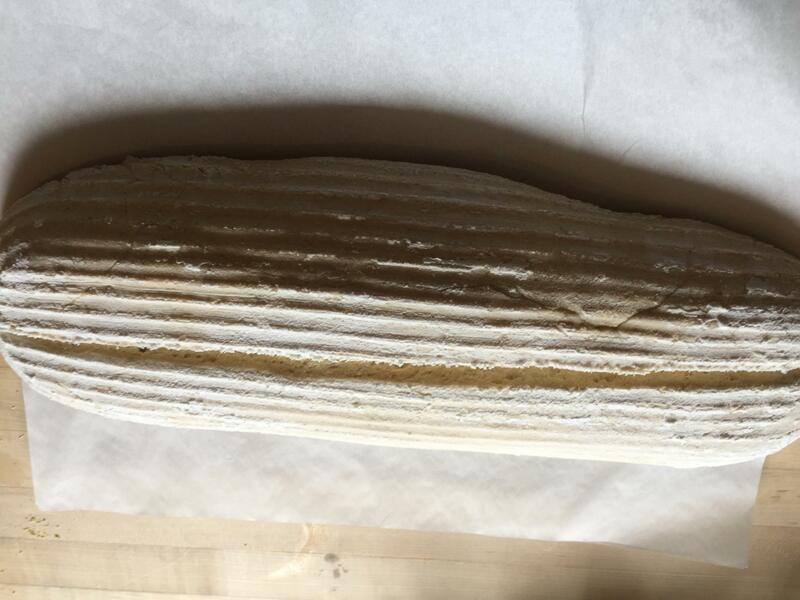 After all the results I see from so many bakers on this and other forums I am more convinced than ever that shaping and hands on has nothing to do with the way the crumb turns out. It is all about the fermentation ....so the levains and how old they are and then the amounts and the times they ferment. I did less than ever for this loaf and it is just wonderful. As soon as we finish it I will make another . Biggest thing I will change is not cutting it when it is warm LOL ! Will have to bake it when husband is gone. 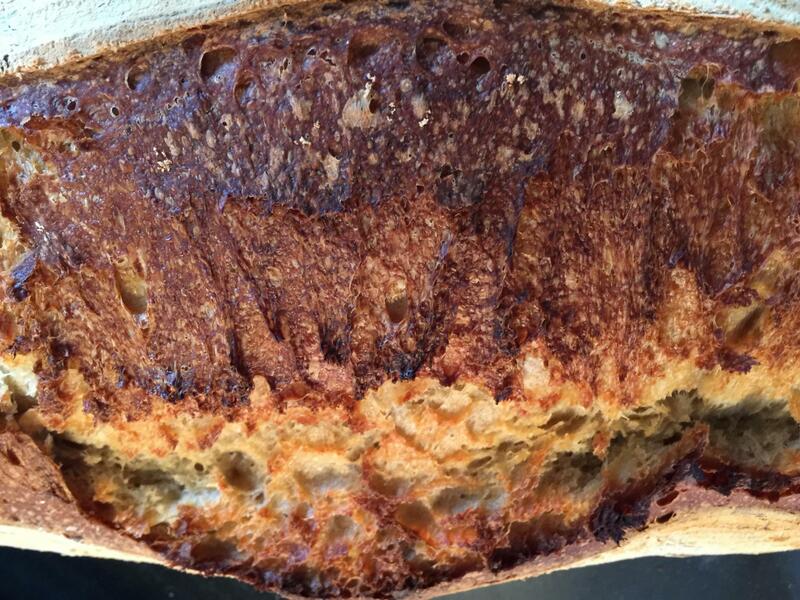 The crust was so crisp and then crumb is just amazingly tender and so fragrant. Very very mild due to the YW. My levains were only a few hours old. I fed the SD and the YW some flour and put it in the oven with the light on . When I came back two hrs later they were overflowing. I quick took them out of the oven and put them on the cool window sill and proceeded to make up the dough. They hadn't been fed since I made the rhubarb bread. I only did this one feeding. So no need to do serial feedings or any s and f's either. It's all about the ferment. We see all kinds of breads online. 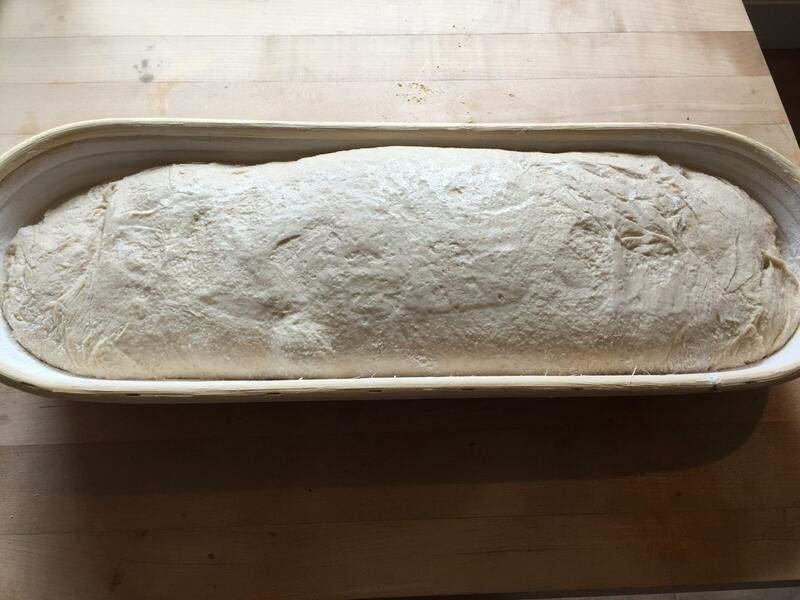 On this site, on Instagram, in our inbox, on the counter the stuff we bake ourselves, etc.. And every once and a while you just have to stop and stare.. And to be sure the loaf itself looks quite nice, and there' something to be said for baking a monster loaf.. But that's not it. It's that crumb. Something about it just stopped my click-wheel cold! I just had to stop and look at it.. stare at it for longer than normal.. imagine how it smelt, tasted and felt warm to the touch. How the butter probably would just melt effortlessly on it and add another layer of complexity to the aroma steaming up from the crumb.. how the sea salt crystals I'd sprinkle on the melted butter would sparkle and some would fall into the crevasses of the open crumb.. and how when biting into it, the corner of my eyes would squeal with joy.. 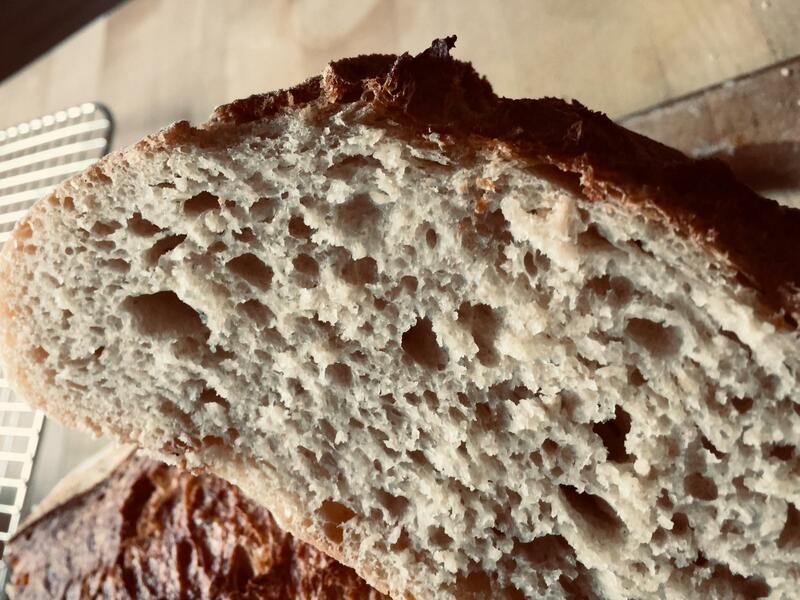 I agree that fermentation plays a huge role in crumb structure, but I think everything you do (and some things you avoid doing) matters. As experienced as you are, I bet you do a lot of things with expertise that is so automatic you think you are doing nothing.